HMS Grafton was a Type 23 frigate of the Royal Navy. She was the ninth vessel to bear the name, and is named after the Duke of Grafton. 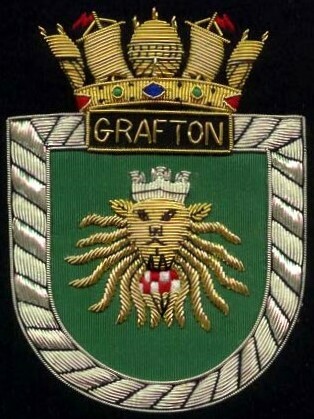 Ordered in January 1992, Grafton was laid down on 13 May 1993 by Yarrow Shipbuilders. The frigate was launched 5 November 1994 and commissioned into the Royal Navy on 29 May 1997 with the pennant number F80. In 2003, the ship was used in the ITV drama series Making Waves as the fictional Royal Navy warship Suffolk. In early 2004 the ship was deployed in the Persian Gulf. 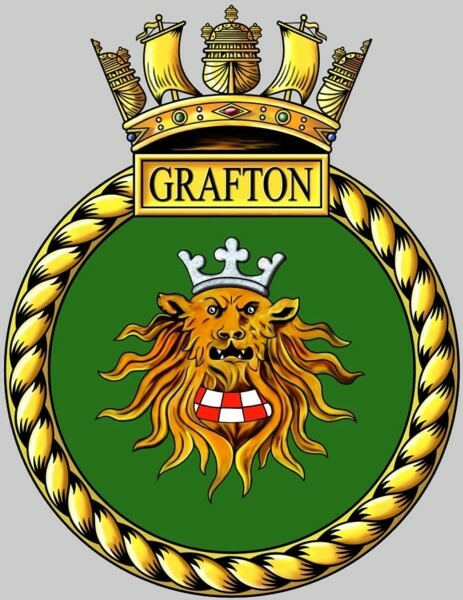 In July 2004, it was announced that Grafton would be one of three Type 23 frigates to be decommissioned by the end of 2006. 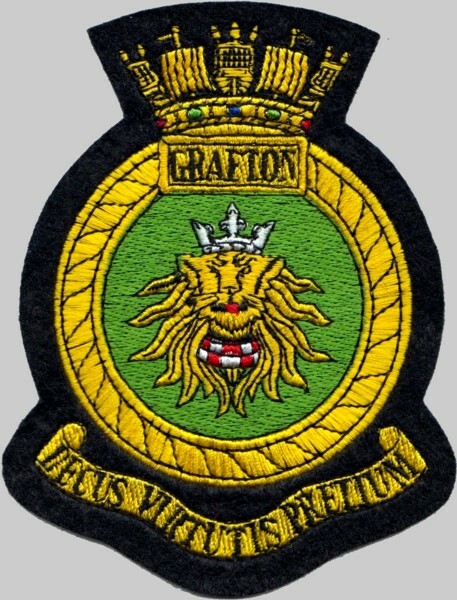 In June 2005, it was announced that Grafton would be sold to the Chilean Navy . During her service in the Royal Navy, her crew were awarded the freedom of the Borough of Ipswich, due to their frequent visits to the Suffolk town. On her last visit to Ipswich in 2006, the Ship's Bell was presented to the town as a permanent reminder of the links between Grafton and Ipswich. The bell is now on display in the reception area of the Ipswich Borough Council offices at Grafton House, named for the connection to the warship. She was decommissioned on 31 March 2006. The frigate was delivered to Chilean Navy on 28 March 2007 at Portsmouth and renamed Almirante Lynch (FF-07) after Patricio Lynch. Duke of Grafton is a title in the Peerage of England. It was created in 1675 by Charles II of England for Henry FitzRoy, his second illegitimate son by the Duchess of Cleveland. The most famous duke was probably Augustus FitzRoy, 3rd Duke of Grafton, who served as Prime Minister in the 1760s. The Duke of Grafton holds three subsidiary titles, all created in 1675 in the Peerage of England: Earl of Euston, Viscount Ipswich, and Baron Sudbury. Between 1723 and 1936 the Dukes, being descended from the 1st Duke's wife Isabella FitzRoy, 2nd Countess of Arlington, also held the titles Earl of Arlington, Viscount Thetford and Baron Arlington. Those titles fell into abeyance between the 9th Duke's sisters, with the abeyance of the barony of Arlington being ended in 1999. The title of the Dukedom refers to the Honour of Grafton in the southeast of Northamptonshire, the titular village now being called Grafton Regis. The family seat is Euston Hall in Suffolk. The traditional burial place of the Dukes of Grafton is the parish church of Saint Genevieve in Euston, Suffolk. The Duke's eldest son is styled by courtesy Earl of Euston, and the eldest son of the Earl Viscount Ipswich.